First, Italy swore in a euroskeptic government that has worried the financial markets. Then a pro-Europe government in Spain suddenly collapsed, even as the bloc’s leaders were contending with trade tariffs imposed by President Trump. It was quite a Friday for Brussels, the capital of the European Union. On the same day wild animals were reported missing at a zoo in Germany, stirring anxiety, Europe itself seemed to be wandering through a forest of global politics. The political uncertainty in Europe’s south, combined with yet another humiliation from Mr. Trump’s Washington, has only added to the sense of consternation, if not crisis, on the Continent. In fact, Mr. Trump seemed bent on increasing the pressure on his putative allies in ways that widen fissures both within the European Union and with the United States. “I’d hate to see what’s in store for people who aren’t allies,” said Constanze Stelzenmüller, a German analyst with the Brookings Institution. The growing confrontation with the Trump administration is making some Europeans think about how to make Washington pay a price. European governments are now looking into ways to find leverage over Washington, said Mr. Kleine-Brockhoff, a former adviser to the German president. More Germans and Europeans regard traditional trans-Atlanticists as “dinosaurs who don’t understand that Trump has changed the world order, and who are keeping us from drawing necessary conclusions,” Mr. Kleine-Brockhoff said. They want to distance Europe from Washington, build up European autonomy and find new accommodations with Russia and China. Even without Mr. Trump’s antagonism, the dangers for Europe are already considerable. The most vexing ones can be found at home. A new Spanish government led by Pedro Sánchez, a pro-European, is not expected to challenge Brussels. And it may try to calm tensions with independence-minded Catalonia by opening talks on more devolved powers, something the departing prime minister, the center-right politician Mariano Rajoy, refused to do. But Mr. Sánchez’s government will be a highly vulnerable minority one, and it is likely to usher in a period of weak leadership and potential instability. Even the breath of air taken after Rome finally formed a government was shallow and anxious. The government is a peculiar coalition of the populist left and populist right, one that is deeply euroskeptic, friendly to Russia and confrontational with Brussels. The battles are likely to come not just on economic grounds, but on key European policies on migration and sanctions against Moscow. President Sergio Mattarella of Italy had earlier vetoed an anti-euro economist, Paolo Savona, as finance minister, raising the chilling prospect of new elections that would have effectively been a referendum on membership in the euro. In the end, the two populist party leaders named another finance minister, but pointedly made Mr. Savona the new Europe minister instead. There, he will have cabinet rank and get to annoy other European ministers in Brussels meetings — including, presumably, the country’s own pro-European foreign minister, Enzo Moavero Milanesi. The new finance minister is Giovanni Tria, a little-known economics professor who in recent opinion pieces has denounced Germany’s trade surplus as an indicator of the failure of the euro. And, of course, the fundamentals of Italy’s economic situation have not changed — a cumulative debt of over 130 percent of gross domestic product, low growth, high unemployment, and banks with mounds of nonperforming loans. Even if the new government keeps Italy in the euro, it promises to reverse a rise in the retirement age and sharply increase government spending and the fiscal deficit, which could create another credit crisis. The cost of the two parties’ respective electoral promises — most notably, a flat tax and a form of guaranteed income — would amount to at least 6 percent of gross domestic product, the economist Silvia Merler told Politico. “The magnitude of the increase in the deficit implied by the combined measures will likely violate all E.U. and domestic fiscal rules and put debt on an unsustainable trajectory,” she said. All that is a crisis foretold, with a new budget due in autumn. But there are likely to be other confrontations, with Matteo Salvini — the leader of the League and the incoming deputy prime minister and interior minister — vowing a crackdown on migration and the expulsion of up to 500,000 migrants already in Italy. That could force Brussels to start an Article 7 process against Italy for breaking the fundamental commitments to the rule of law. 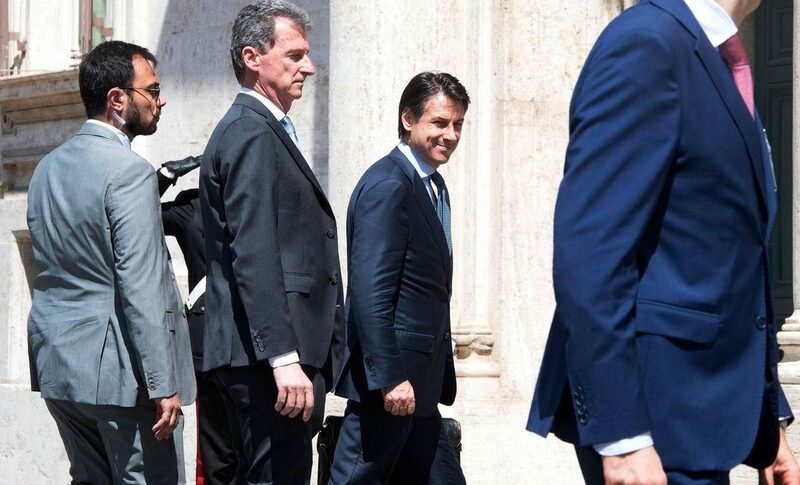 And the new Italian leaders have already expressed their desire to improve relations and trade with Russia and its president, Vladimir V. Putin. That may mean that the European Union is unable to renew economic sanctions against Russia stemming from its behavior abroad, including its annexation of Crimea, violation of the Minsk accords in eastern Ukraine and the assassination attempt on a former Russian spy and his daughter in Britain, which the Kremlin continues to deny. But Mr. Trump’s latest blow against allies, the tariffs, only piles on the humiliation, Mr. Stefanini said. And now Mr. Trump is threatening restrictions on car imports, which may be aimed at Germany but will also hit France, Britain, Italy and others. “With good will, Europe has laid down to accommodate Trump and indulge his whims, but it doesn’t pay off,” Mr. Stefanini said. Still, a post-Brexit Europe that needs NATO and the American nuclear umbrella will work hard not to break the Atlantic link, he said, because the fundamentals of the alliance matter, and no president lasts forever.